mathematics and especially logic. His creation of the now famous tiling problem was of great importance. He did seminal work on mechanical mathematics, getting in 1983 the first Milestone Prize for Automated Theorem-Proving. Perhaps one of his best “results” was being the PhD advisor to Stephen Cook, Shimon Even, Stål Aanderaa, Joyce Friedman, and a recent invention-prize co-winner whom we mention below. Today Ken and I wish to point out that it is Kurt Gödel’s birthday. Gödel was born on April 28th, in 1906. 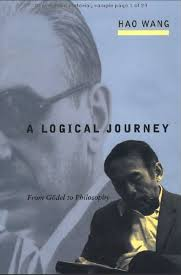 Wang talked with Gödel in the 1970’s and documented that in his book: A Logical Journey. The book is a source of many insights into Gödel’s life, thoughts, and ideas. We will quote from it and then explain Wang’s tiles. Gödel published about 300 pages in his whole life. These are some of the deepest and best pages of mathematics ever. But it is a relatively small amount. We have researchers today that routinely have hundreds of papers, not just pages. He did not like writing up his work—he stated several times that he liked thinking much more. 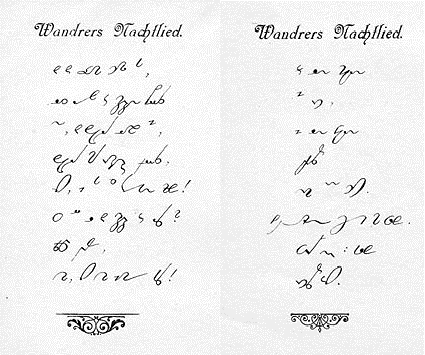 Gödel studied Gabelsberger shorthand extensively from 1919 to 1921 while he was attending grammar school. One of the reasons that much of his unpublished work is unavailable, adds Wang, is that he used the shorthand for his notes. Gödel’s doctoral dissertation proved the completeness theorem of predicate calculus. This had been stated as an open problem by David Hilbert and Wilhelm Ackermann in their book, Grundzüge der theoretischen Logik. Gödel’s solution was found right after the book was published: the book was published in 1928 and the proof was found in 1929. George Pólya and Weyl, during a mathematicians’ gathering in Zürich (9 February 1918), made a bet concerning the future direction of mathematics. Weyl predicted that in the subsequent 20 years, mathematicians would come to realize the total vagueness of notions such as real numbers, sets, and countability, and moreover, that asking about the truth or falsity of the least upper bound property of the real numbers was as meaningful as asking about truth of the basic assertions of Hegel on the philosophy of nature. Any answer to such a question would be unverifiable, unrelated to experience, and therefore senseless. Later in 1940 when the bet was “called” everyone declared Pólya the winner except for Gödel. decision procedure requires a long time to decide comparatively short propositions. More specifically, it may be possible to prove: For every decidable system and every decision procedure for it, there exists some proposition of length less than 200 whose shortest proof is longer than . Such a result would actually mean that computers cannot replace the human mind, which can give short proofs by giving a new idea. Very cool question, very impressive for the time frame which was in 1976. We still have no idea, I believe, whether this is true. Forcing is a method to make true statements about something of which we know nothing. Intuition is not so unreliable. Often a mathematician first has an intuition that a proposition is probably true, and the proves it. If all consequences of a proposition are contrary to intuition, then statistically it becomes very implausible. To see more, much more, get a copy of Wang’s book. It is filled with interesting bits of information about Gödel. Given a finite tile set , can one tile the entire infinite plane? Wang proved a theorem and stated a conjecture, both to the effect that the answer depends on what happens in finite regions. 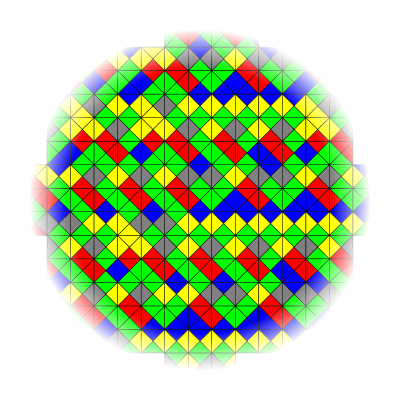 Theorem: A finite tile set fails to tile the whole plane, if and only if, there is a finite connected region that it fails to tile. The proof is a wonderful application of compactness. Conjecture: A finite tile set tiles the whole plane, if and only if, it can tile a finite region so that the entire plane can be tiled from copies of that region. Theorem: If the conjecture is true, then the tiling question is decidable. Proof: Here is the algorithm, given a finite tile set : Consider areas of size in order. For each value of , consider the finitely many connected regions of size , and the finitely many possible assignments of tiles to them. If some region has no legal tiling, reject. If the algorithm never rejects, then by the theorem can tile the whole plane. Then by the conjecture there is a finite periodic region. The algorithm will eventually discover this and accept. Hence the algorithm halts for all inputs, so it is a decider. Corollary: There must exist a finite tile set that tiles the plane, but only aperiodically. Note in the corollary that not only can tile with no repeating pattern, it cannot tile any other way. This is because the conjecture was refuted even with the weaker “can” clause in its statement. What may be more disturbing than this property of itself, however, is the way we proved it by negation, without needing to have the slightest idea what could look like. Mathematics had started proving many “Existence First” theorems in the 1800s, and this led some to feel the objects thus proved needed to be “confirmed” by actual constructions. The wonderful source page by Steven Dutch of the University of Wisconsin at Green Bay goes on to give some intuition about how aperiodicity gets forced with these tiles. Ultimately Roger Penrose discovered that two non-square shapes suffice. The greatest “confirmation” may be that Nature herself implements essentially the Penrose-tile scheme in quasicrystals, for which Dan Shechtman was awarded the 2011 Nobel Prize in Chemistry after discovering them in 1982. It is a tempting feel-good story to jump from Gödel-Turing computability and undecidability to the discovery of new natural processes, but we must not forget that the possibility of simplicity is the ultimate arbiter. The flip side of simplicity is complexity, a field we know scarce little about. Theorem: For every effective formal theory —such as Peano Arithmetic or ZF set theory—we can construct a finite aperiodic tile set that cannot prove tiles the plane (if is consistent). We wonder if anyone has made a “Gödel tile set” that can tile the plane if and only if set theory is consistent. How small can a “Gödel tile set” for set theory be? Does Gödel’s conjecture about proof lengths enter the picture? Finally, Happy Birthday again. I thought so too, but I think the word “decidable” in “For every decidable system” changes the situation. At least that’s what I thought in leaving it unaltered—I think in 1976 Hao Wang would have been equally able to say what you did. What I was thinking more along the lines of is Larry Stockmeyer’s “cosmological lower bound” for size of circuits deciding formulas in a certain decidable second-order theory (WS1S) with EXPSPACE-hard decision problem. The constants involved there are 10^123 gates for formulas of symbol size 616, roughly similar to Gödel’s. I wasn’t sure how the lower bound would translate from circuit size deciding an entire input length to proof size for a single theorem. Aha. So we’re only looking at formal systems where the set of theorems is decidable in the first place. This is analogous to defining the Busy Beaver function in a family of Turing machines for which the Halting Problem is decidable. A Logical Journey is a book I can wholeheartedly recommend. Apart of being a distinguished logician, he was a gifted writer.